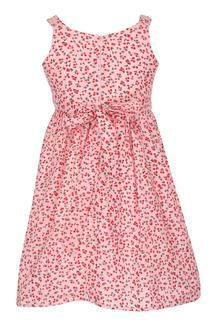 Doll up your little one in this prettily designed A-line dress from Stop, and she will look adorable. Wearing this round neck sleeveless dress is a delight, courtesy of its soft good quality fabric and printed pattern which further adds to its design. 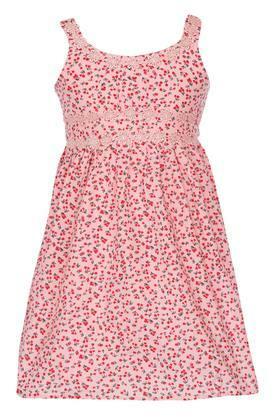 Stylish to look at, this A-line dress. 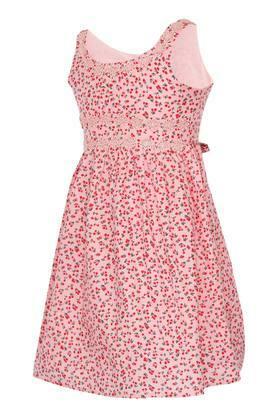 Your little princess can wear it with a pair of fancy sandals on any special occasion to stand out from the rest.